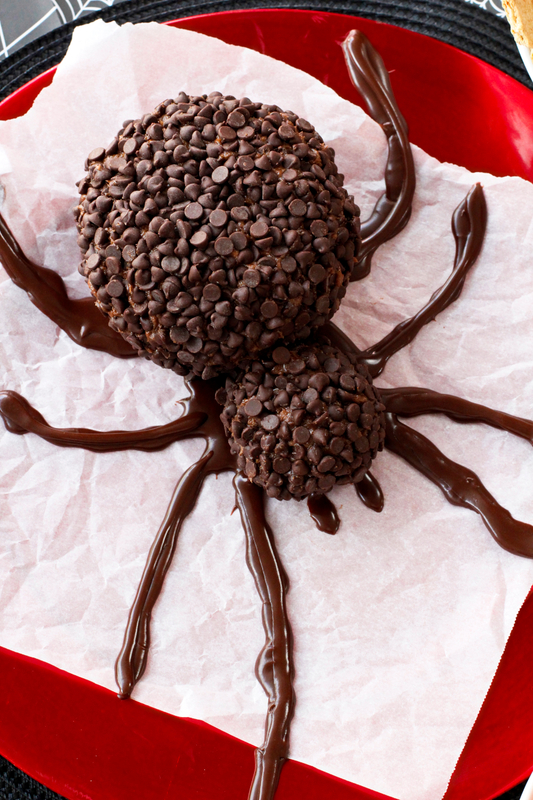 A Spooky Spider Chocolate Cheese Ball will be the hit of your Halloween party! This festive, easy to make, spider-shaped cheese ball is made with cream cheese, peanut butter, and lots of chocolate chips. If you're having a Halloween celebration, nothing says bring on the fun like a serving a menu filled with pumpkins, spiders, ghosts, and ghouls. 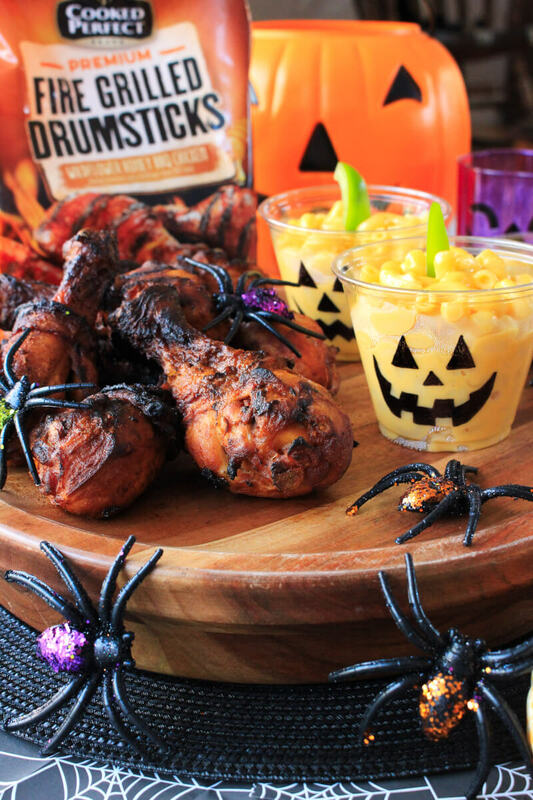 Party food is always a good idea when you're having guests and Halloween is the perfect excuse to go all out! I got together with some of my blogging friends for this post and we decided to come up with a collection of spook-tacular dessert ideas to make your Halloween gathering a hit. My creation was this spider-shaped cheese ball. So fun, right?! I'm sure you're familiar with cheese balls as an appetizer for a party, but usually, they are savory. A dessert cheese ball is so perfect for serving to a crowd! Guests can take as much or as little as they want and you can serve a variety of dippers like pretzels, fruit, or crackers. I decided to go with a chocolate cheese ball for my spider so that it could be brown. Also because chocolate desserts are always a win. The cheese ball is made with a creamy mixture of cream cheese, peanut butter, butter, sugar, and cocoa powder. 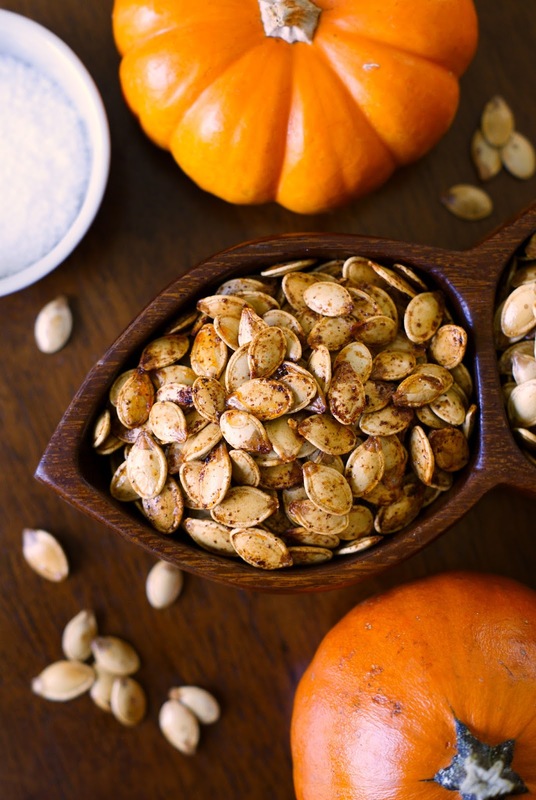 It is so easy to make and you might even have everything you need to make it in your pantry! Once you chill the ball, you roll it in mini chocolate chips. Chocolate on chocolate is never a bad idea. Use a decorating icing to draw on the legs and your spider is ready to serve. You've got to try this super fun Halloween dessert! If you do, I'd love to know what you think in the comments below. Enjoy! 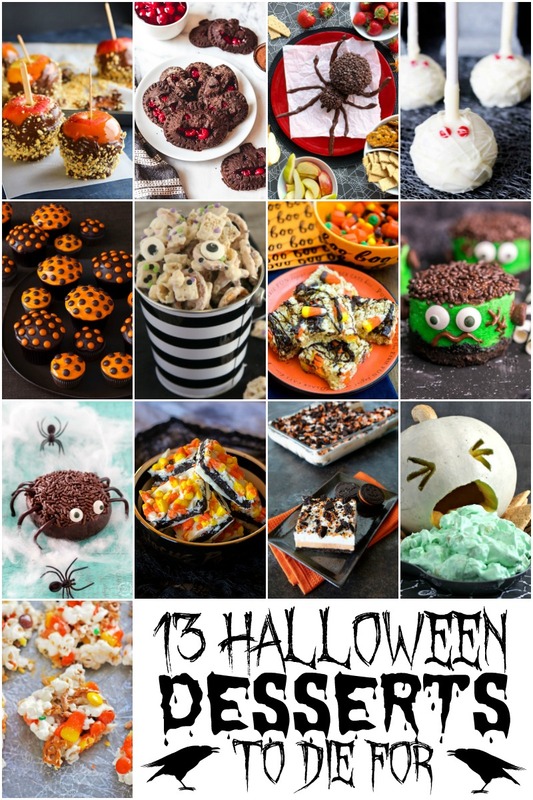 For more fun Halloween dessert ideas, check out these creative recipes from some of my foodie friends around the web...here are 13 Halloween Desserts to Die For! This festive, easy to make, spider-shaped cheese ball is made with cream cheese, peanut butter, and lots of chocolate chips. 1. In a medium bowl, beat the cream cheese, peanut butter, butter, and vanilla extract until creamy. 2. Stir in the powdered sugar and unsweetened cocoa powder until well mixed. 3. Scoop the mixture into a bowl lined with plastic wrap, reserving a small amount to make into the spider head. Wrap the plastic wrap around the mixture and form a ball. 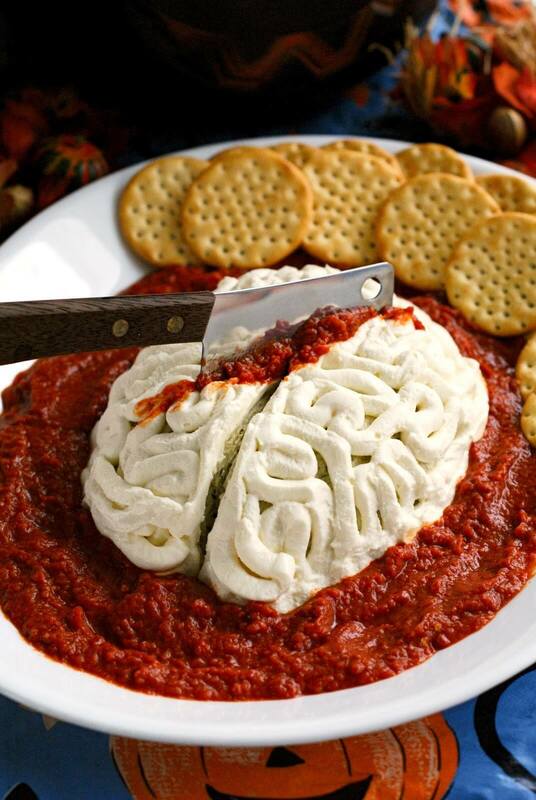 Refrigerate the cheese ball and the small amount set aside for the head for 2 hours. 4. Unwrap the cheese ball and roll in chocolate chips. Place the spider body onto a serving platter and attach the head. 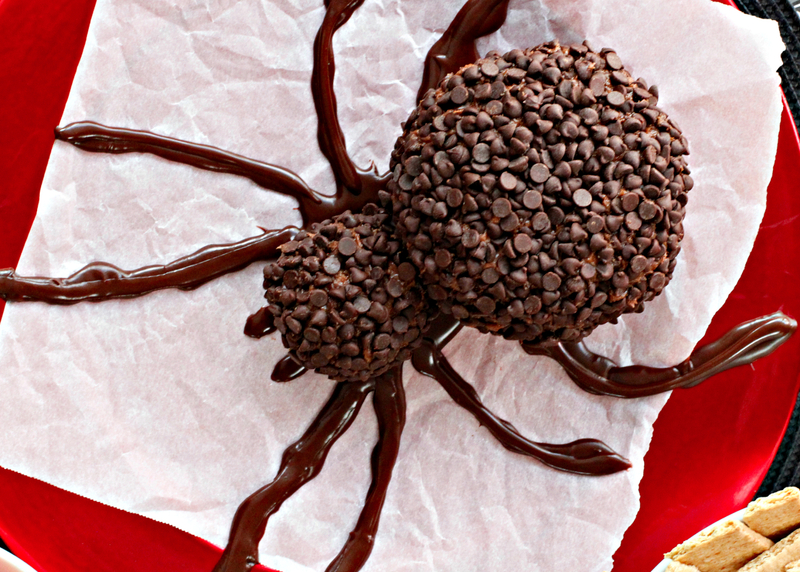 Use chocolate icing, chocolate sauce, or decorating gel to draw spider legs around your cheese ball spider body. Serve with fruit, graham crackers, cookies, or pretzels. 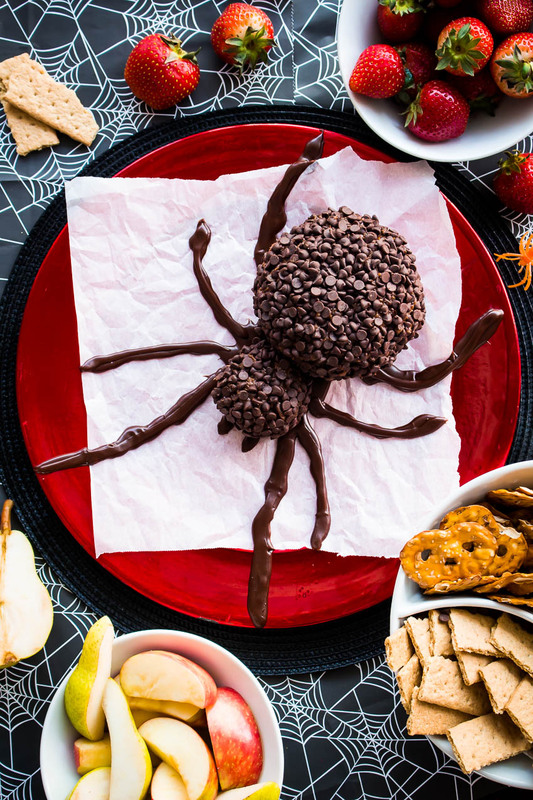 I hate spiders but love this idea :) Perfect for a Halloween treat!!! Cheese balls are so great for a party, especially a dessert one like this! Love all the goodies in your spread. This is just an incredibly cool recipe! I've seen a lot of different recipes in my cooking school career, but this one is the most creative I've ever seen! Thank you very MUCH for this recipe, be sure to show your students this amazing recipe!